CARFAX 1-Owner, LOW MILES - 12,181! PRICE DROP FROM $33,988. Third Row Seat, Moonroof, iPod/MP3 Input, Satellite Radio, CD Player READ MORE! Third Row Seat, Rear Air, Back-Up Camera, Satellite Radio, iPod/MP3 Input, Bluetooth, CD Player, Dual Moonroof, Aluminum Wheels. Volkswagen 3.6L V6 Launch Edition with PURE WHITE exterior and TITAN BLACK CLOTH interior features a V6 Cylinder Engine with 276 HP at 6200 RPM*. ROADSIDE ASSISTANCE KIT booster cables, warning triangle, LED flashlight, multi-tool, work gloves, PVC tape, blanket, poncho, whistle, cable ties, bandages. Rear Spoiler, MP3 Player, Privacy Glass, Keyless Entry, Child Safety Locks. Pricing analysis performed on 9/19/2018. Horsepower calculations based on trim engine configuration. Please confirm the accuracy of the included equipment by calling us prior to purchase. Hello, I would like more information about the 2018 Volkswagen Atlas, stock# VW10428A. 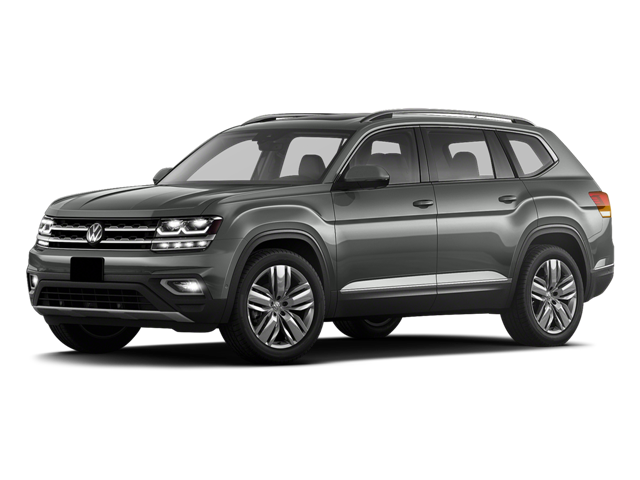 Hello, I would like to see more pictures of the 2018 Volkswagen Atlas, stock# VW10428A.